Father Damien Weleschuk, OSBM, passed away peacefully in the Lord in Covenant Health Mary Immaculate Hospital on Saturday, October 15, 2011. Peter Weleschuk, son of Theodore and Rosalia (nee Kaschyshyn) Weleschuk was born in Lamont on May 24, 1926. He was baptized by Father Anthony Sylla on May 31, 1926. Peter completed school and High School in Lamont and Edmonton. Peter entered the Order of St. Basil the Great in Canada (Basilian Fathers) on October 23, 1946. He professed solemn vows on May 17, 1953. His Excellency, Bishop Neil Savaryn, OSBM, ordained him to the Priesthood on June 24, 1958. Throughout his 66 years as a religious order and 54 years as a priest, Father Damien served the spiritual needs of the faithful in various places, at St, Josaphat’s Cathedral; at Protection of the B.V.M. Parish in Vancouver; at St. Basil’s Parish in Toronto; at Holy Trinity Parish, Vegreville; at St.Basil’s Parish, Winnipeg; at Sts. Peter & Paul Parish, Mundare. He was Manager of the Basilian Press, Toronto. Father Damien was Spiritual Director of the SSMI at Ancaster, Ontario; at Lumsden, Saskatchewan; at Mundare; and at Toronto. Father Damien was Director or Assistant Director at various Youth Camps at Grimsby, Ontario; at Pigeon Lake; at Toronto; at Sudbury; and Gull Lake. 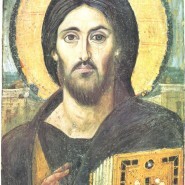 Monastic Parastas for the repose of his soul will be celebrated at 7:00 p.m. on Wednesday, October 19, 2011 at Sts. Peter & Paul Ukrainian Catholic Church, Mundare. 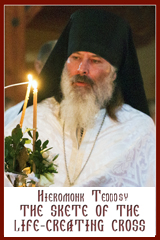 Funeral Divine Liturgy will be celebrated on Thursday, October 20, 2011 at 10:00 a.m. at Sts. Peter & Paul Ukrainian Catholic Church, Mundare. Interment to follow in Sts. Peter & Paul Ukrainian Catholic Church Cemetery. God grant him eternal rest and entrance into the eternal happiness of Heaven!